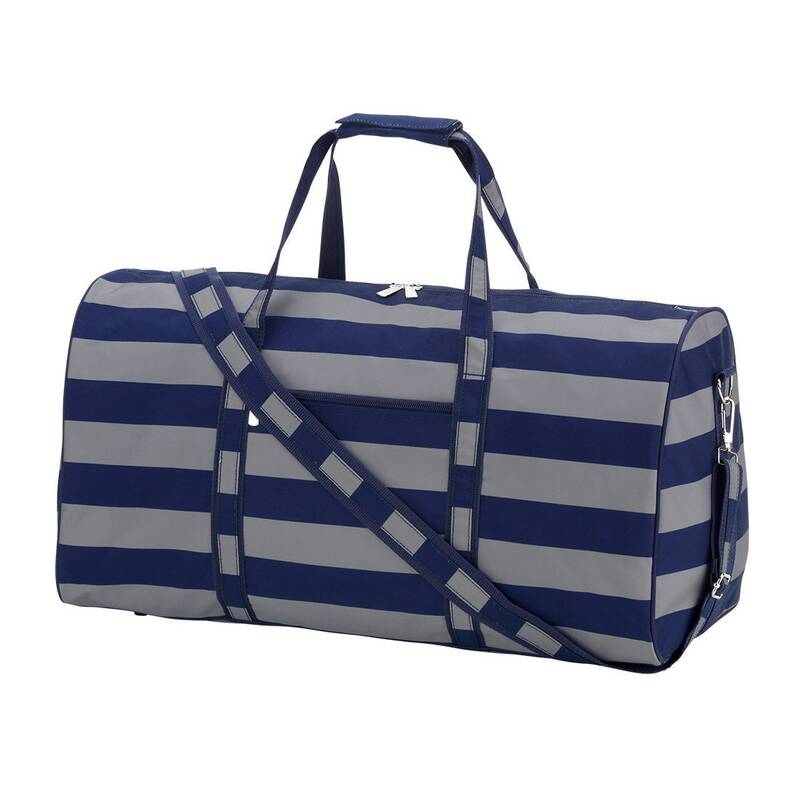 Our navy and grey duffle bag is perfect for overnight trips or trips to the gym! Have a guy in your life who is hard to buy gifts for? 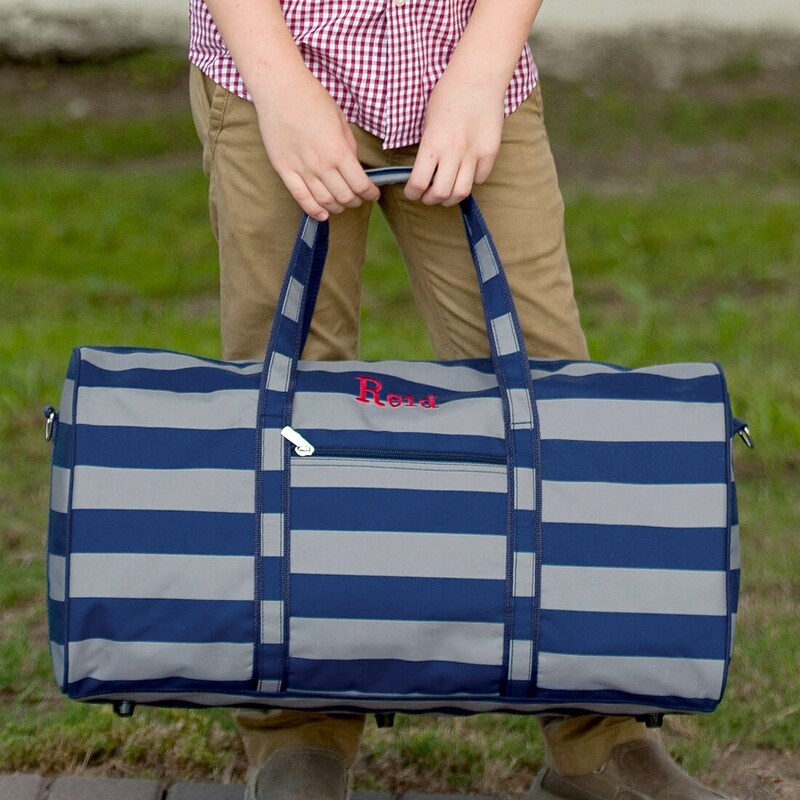 Duffle bags are great, monogrammed presents! 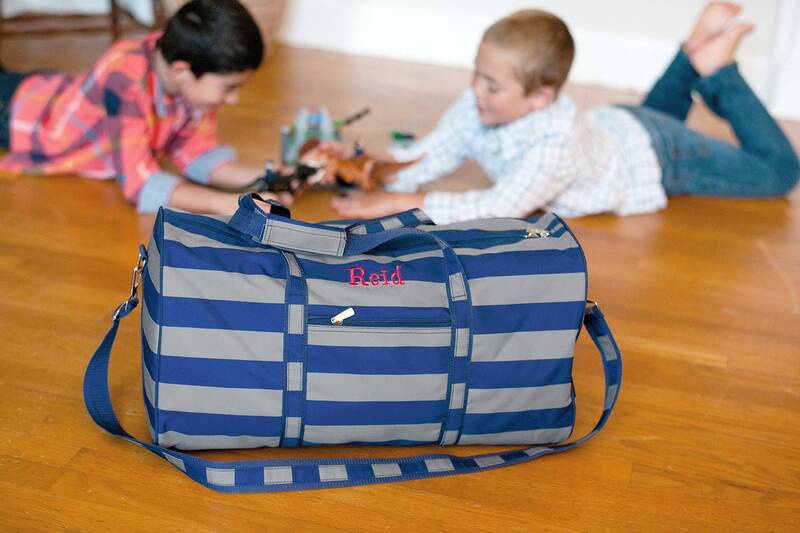 Bag is 21 "L x 8 "W x 11"H. It has a zipper closure and adjustable shoulder strap. 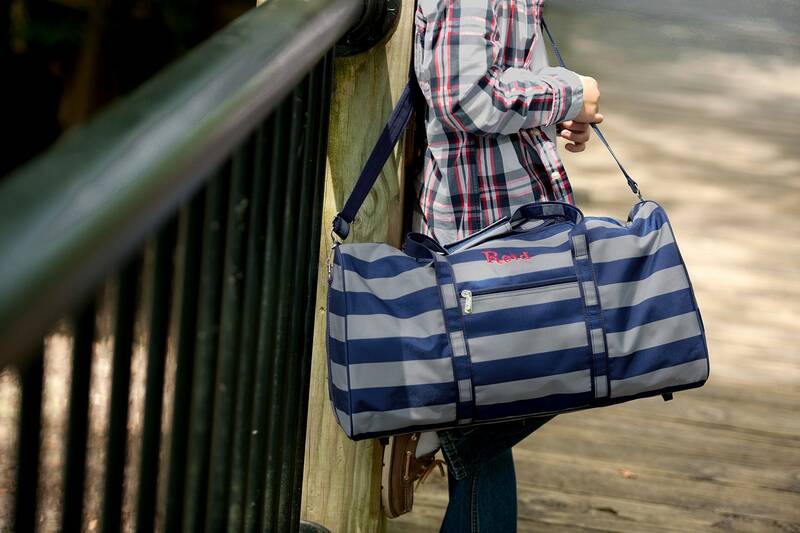 There are zipper pockets on both the outside, and the inside. Rubber feet are on the reinforced bottom. 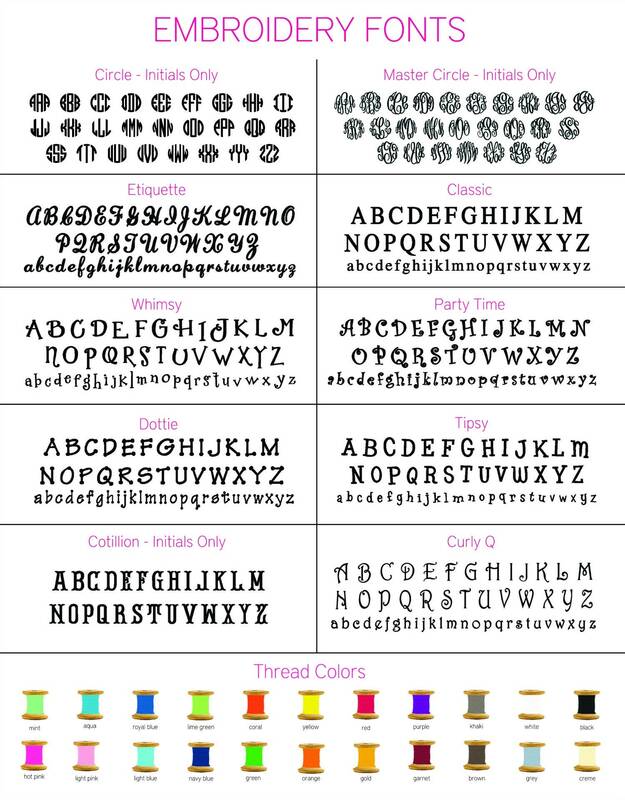 Be sure to let me know how you'd like it monogrammed!